US 1in x 2in morale patch with hooked velcro on rear. 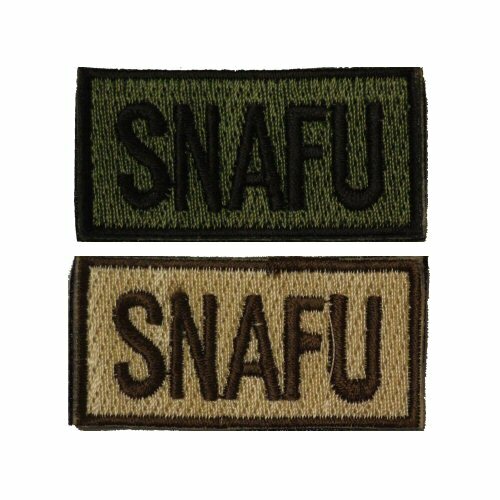 This patch is for 'SNAFU', in either olive or desert colours. Please note that price is for ONE patch only.